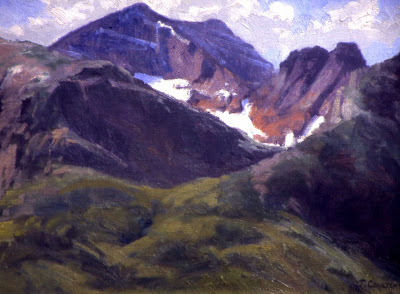 This scene was done on location at Glacier National Park on the Canadian border. While painting it I was aware that there was a Grisly Bear feeding and slowly making his way down the hill about 200 yards away from me. Needless to say I was eager to complete my painting and get the heck out of there. 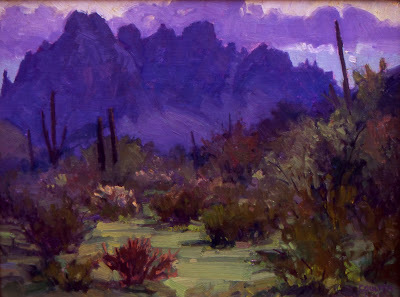 I did this one on location out in the desert south of Phoenix on the way to tucson. It was late in the afternoon and the weather was threatening rain, which created a strange kind of light. It's cooling off in Arizona, time to get out and do some desert painting. I picked this simple scene because of the contrast. 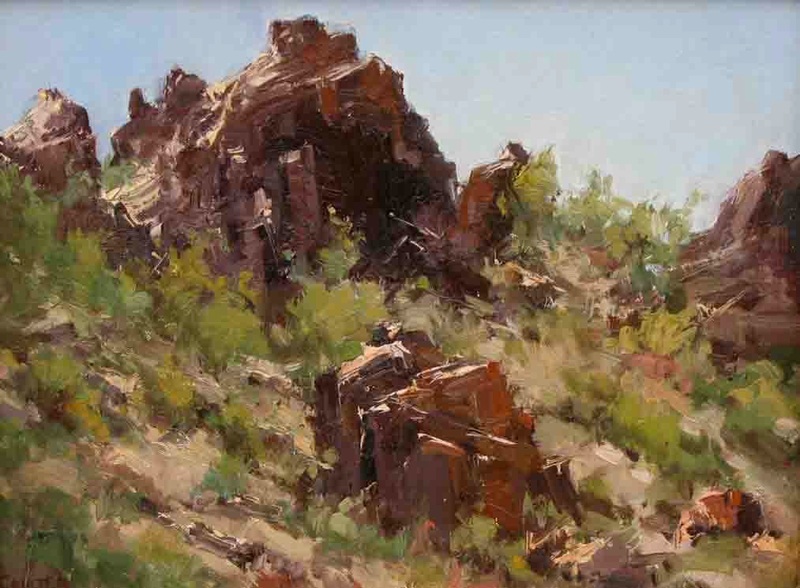 I used a palette knife for the highlights on the rocks.